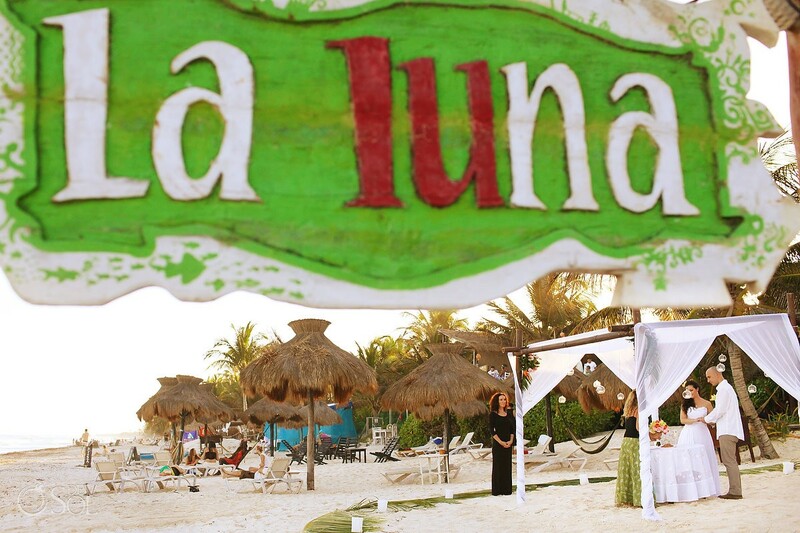 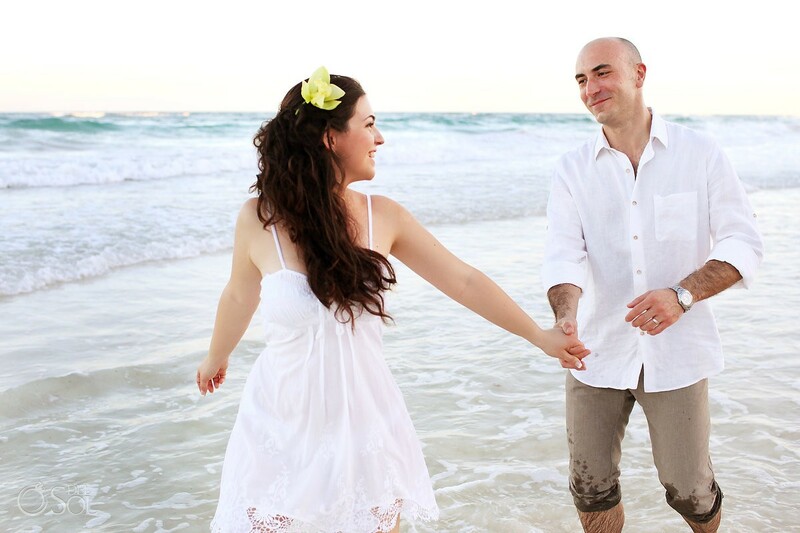 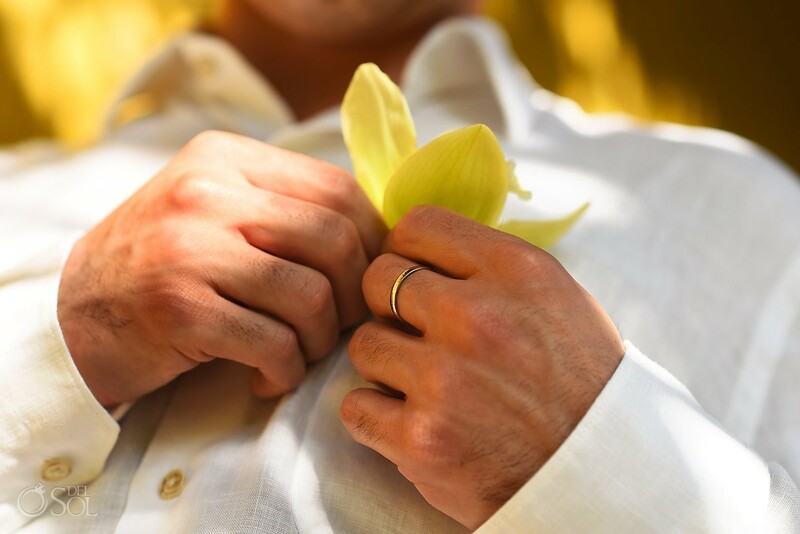 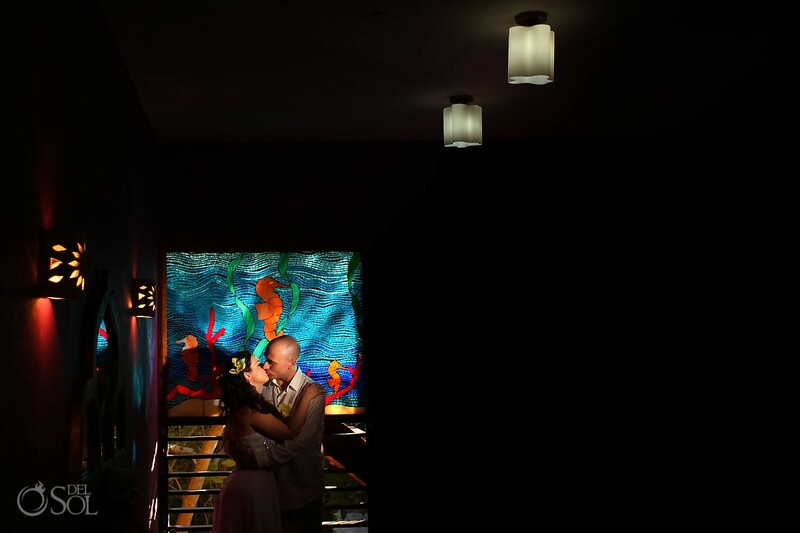 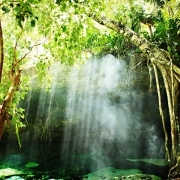 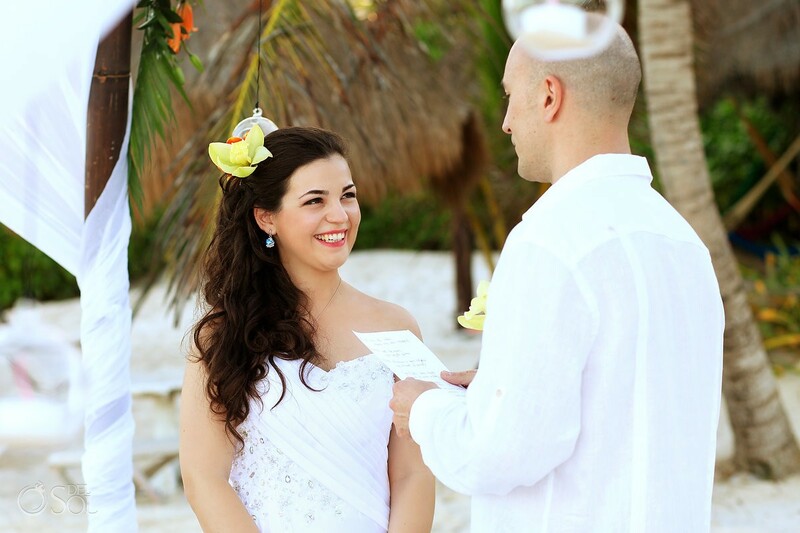 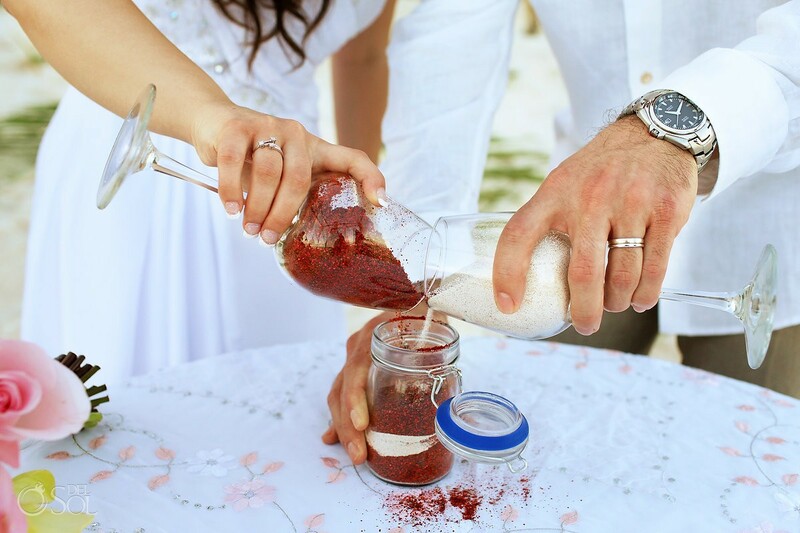 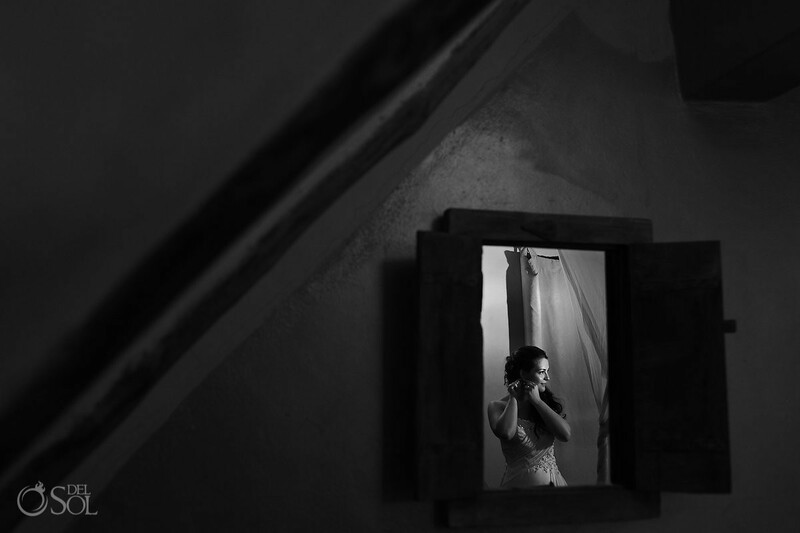 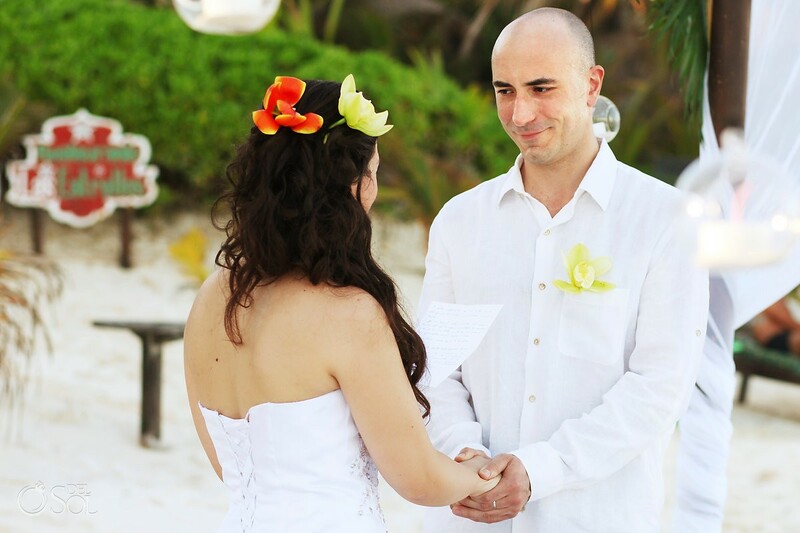 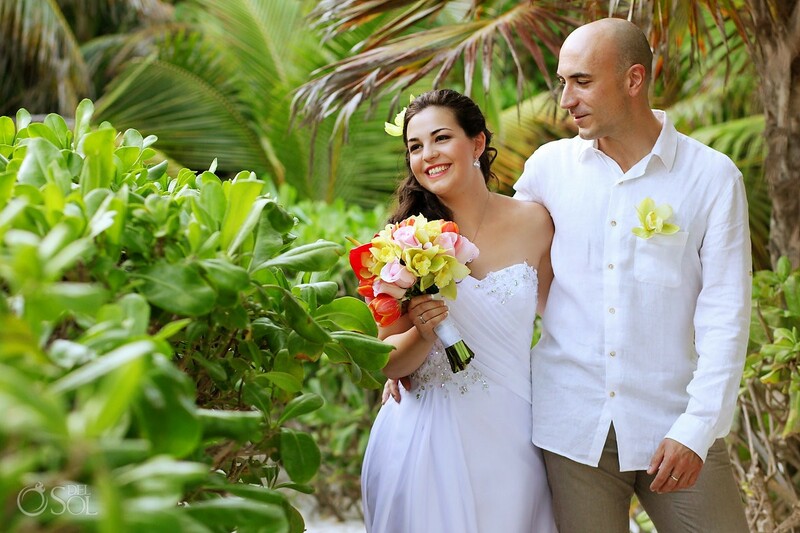 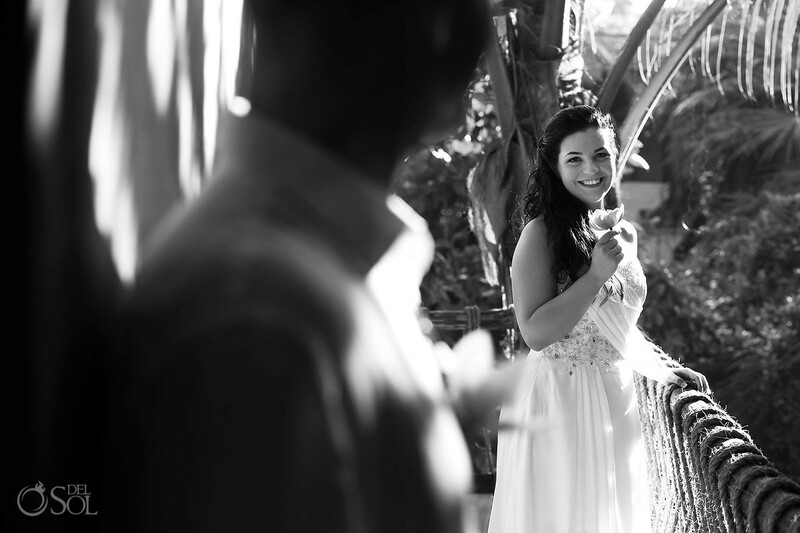 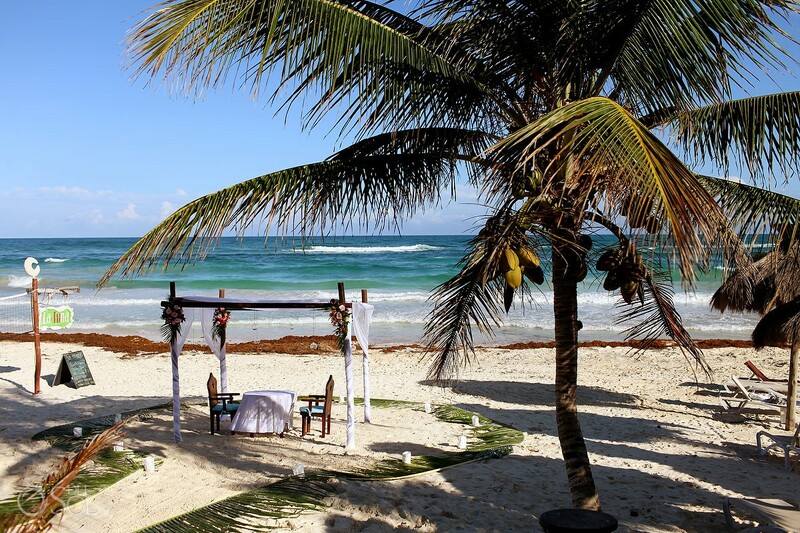 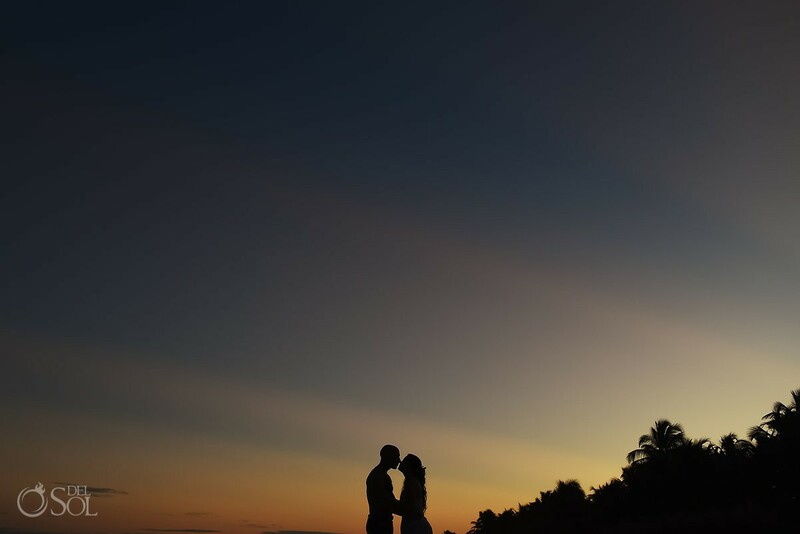 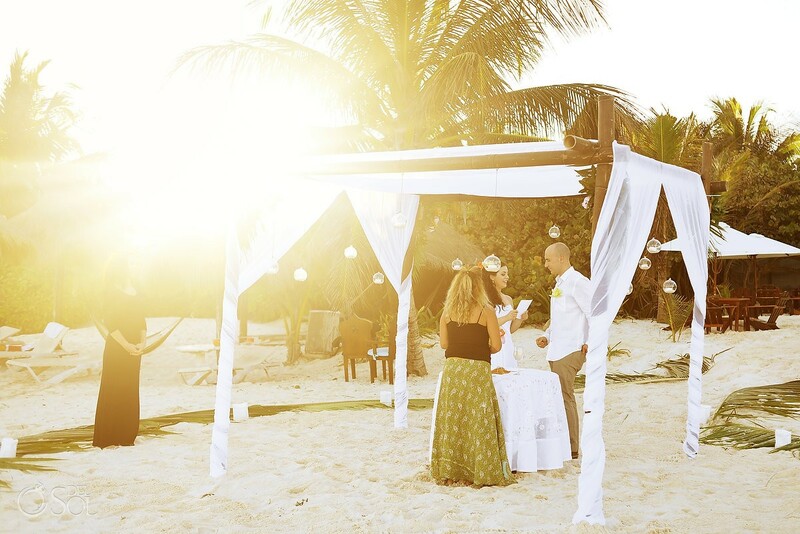 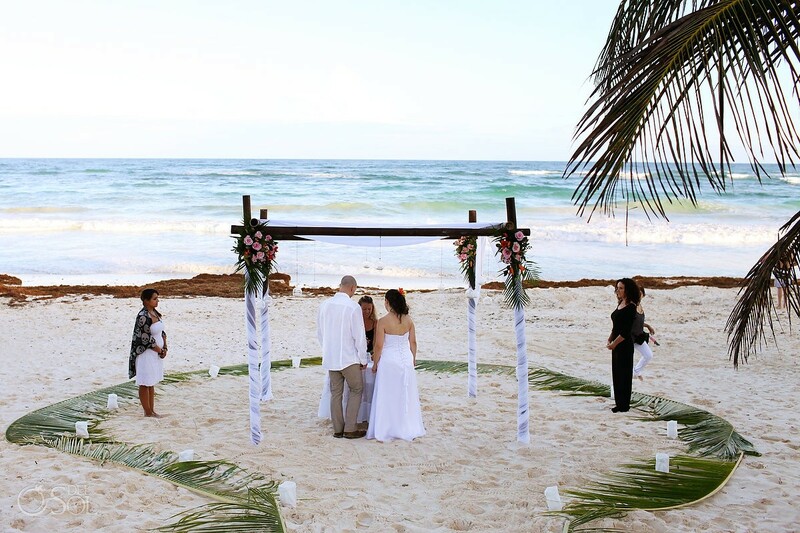 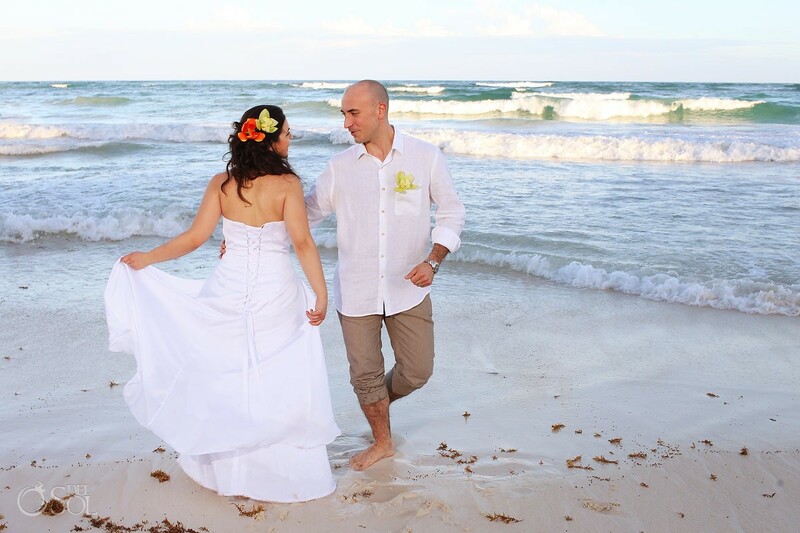 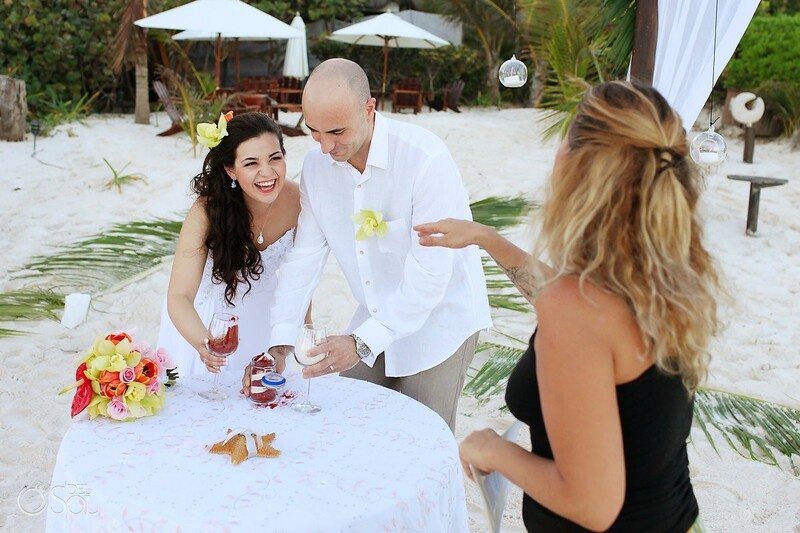 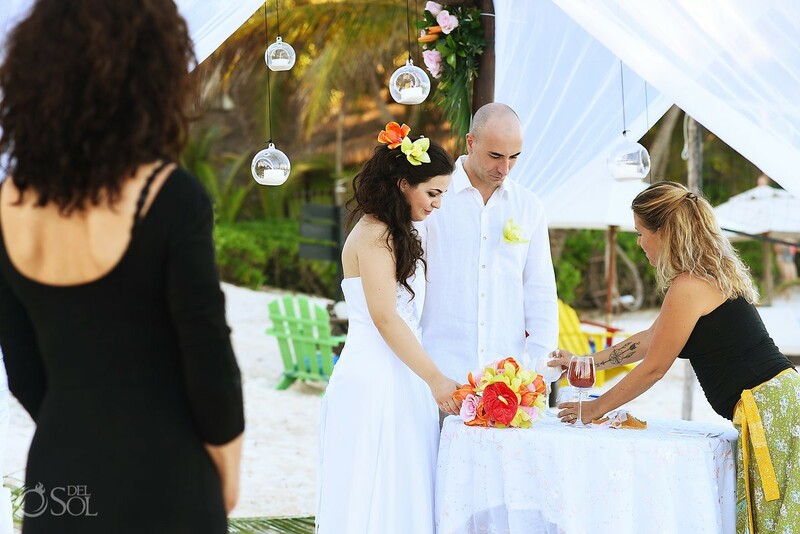 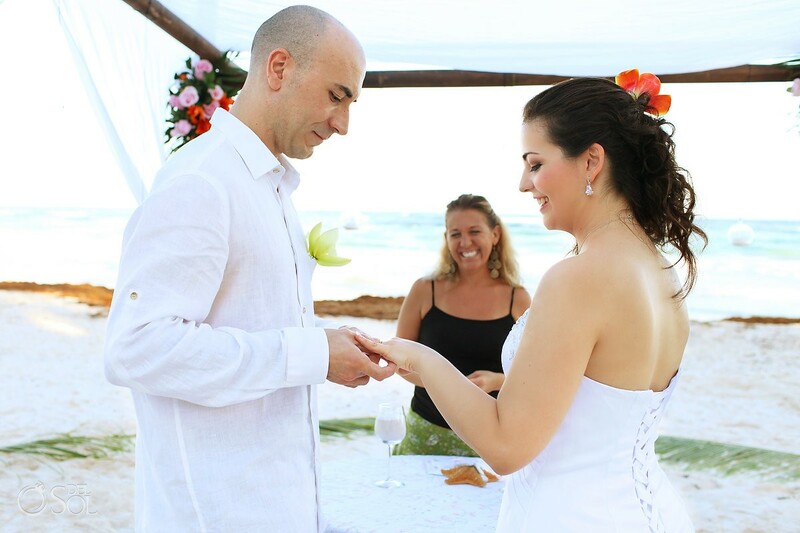 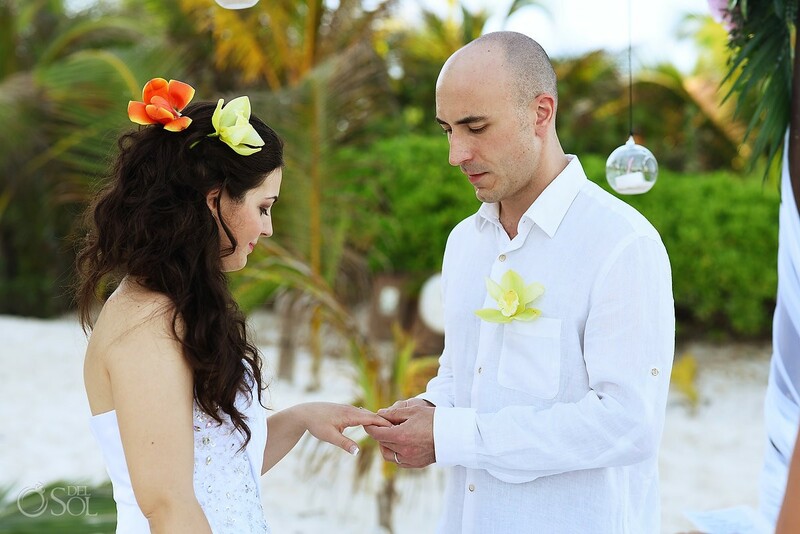 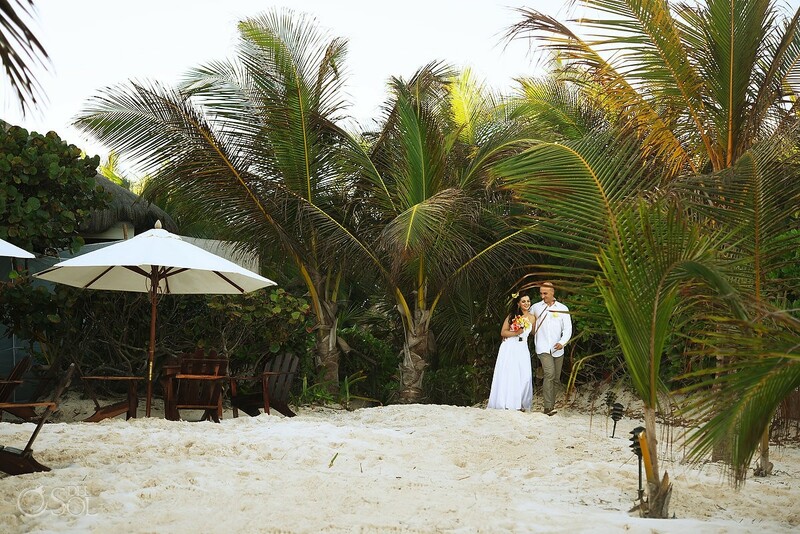 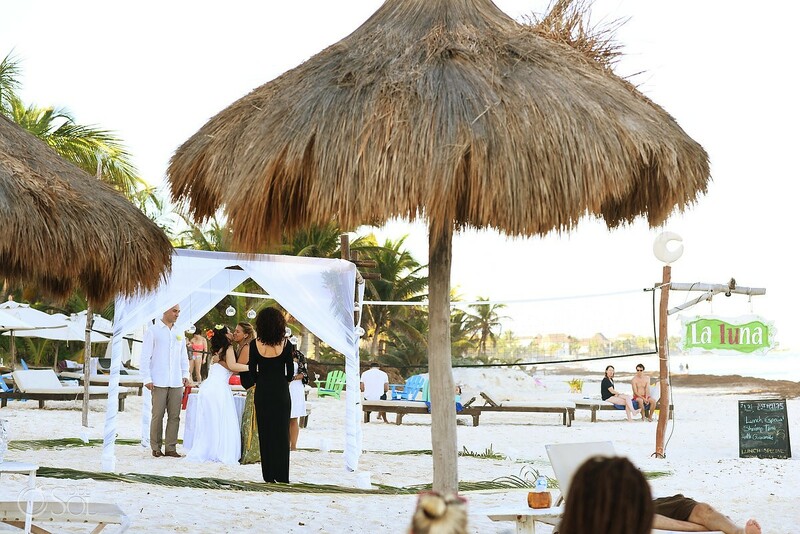 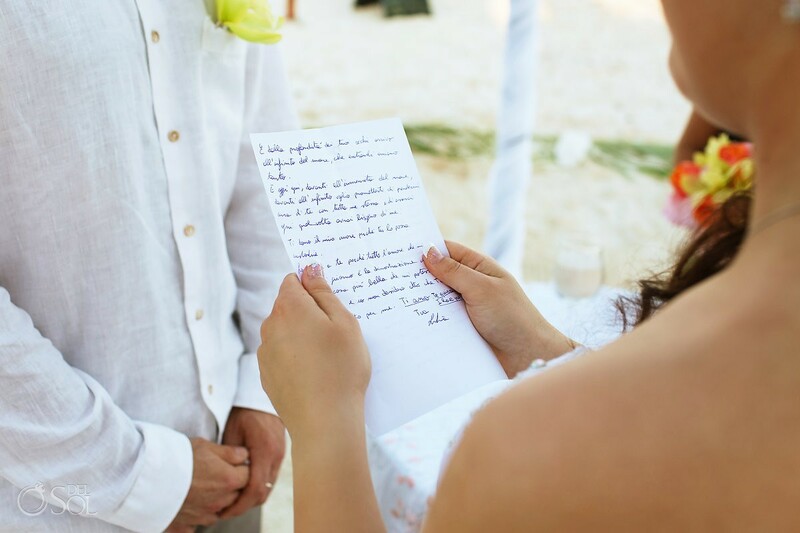 The Cabanas La Luna Wedding in Tulum was an intimate elopement for two, a romantic escape for Europeans Lidia and Roberto. 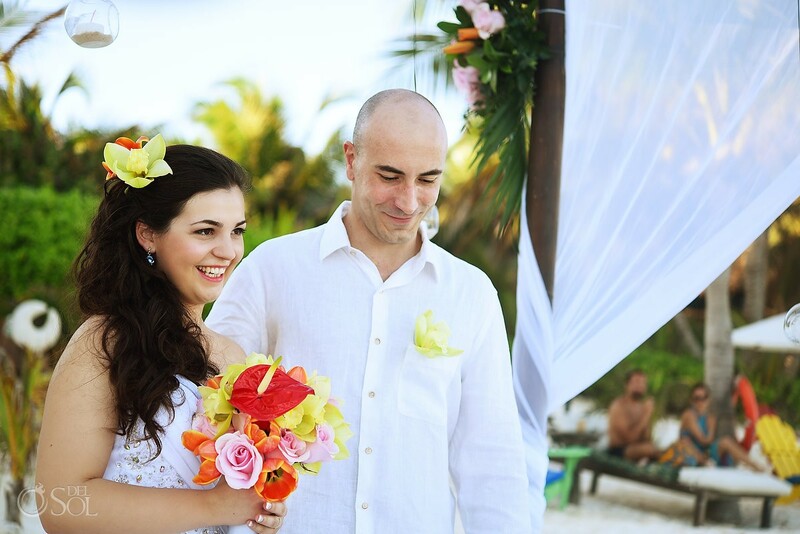 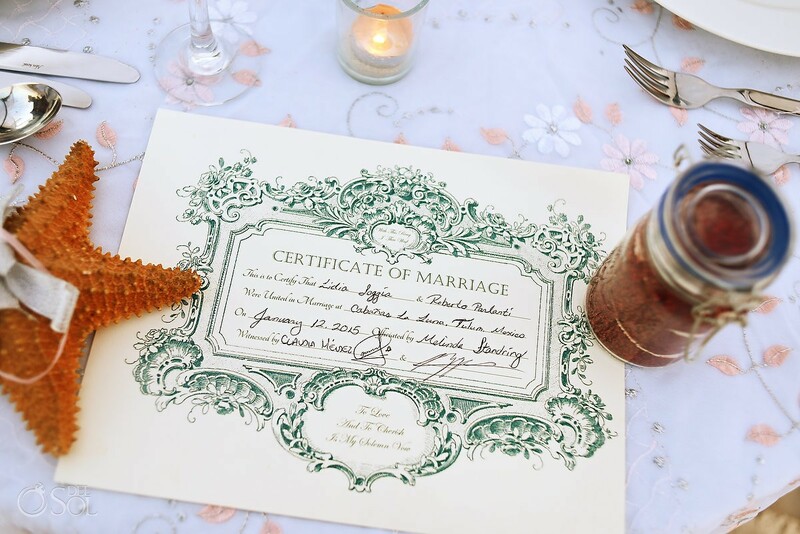 The couple traveled all the way from Italy to Mexico for their cozy destination wedding. 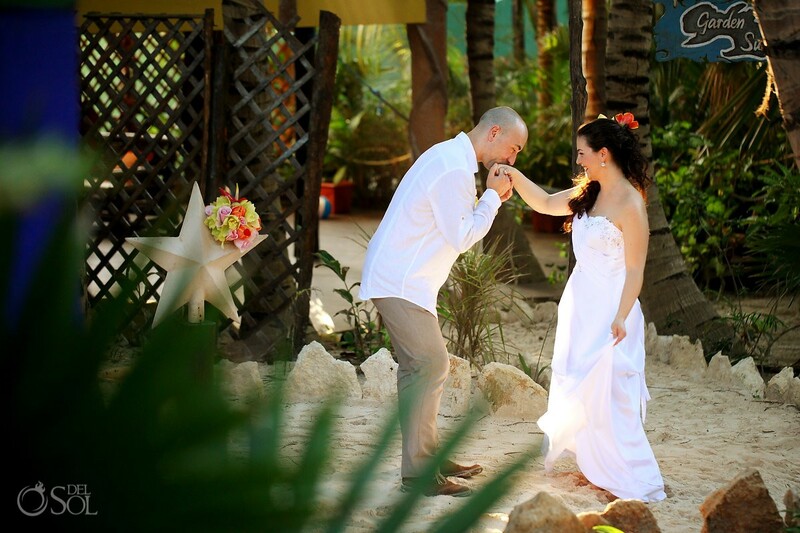 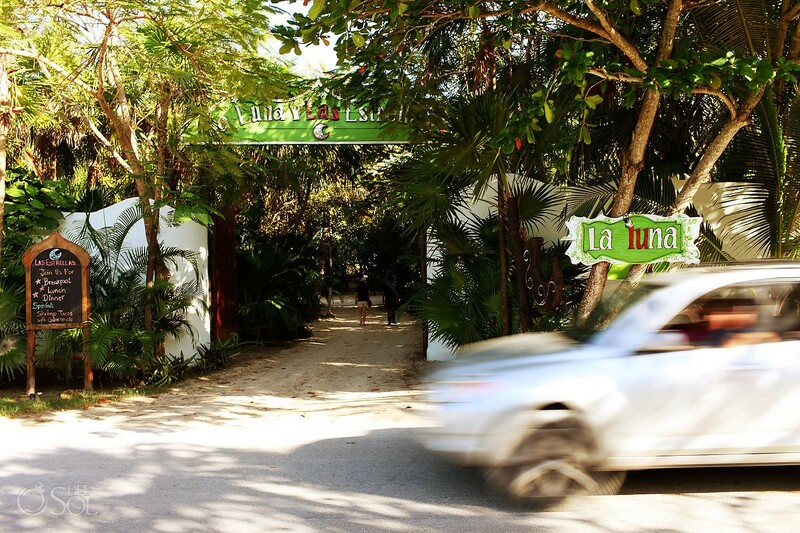 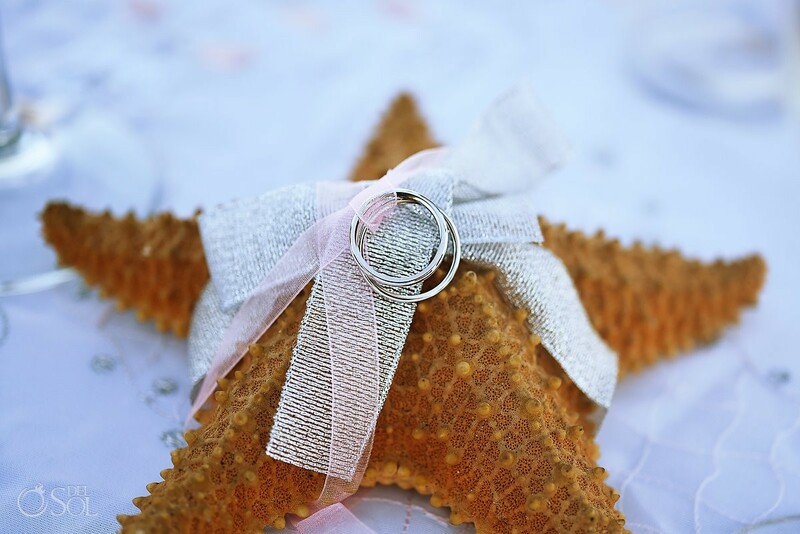 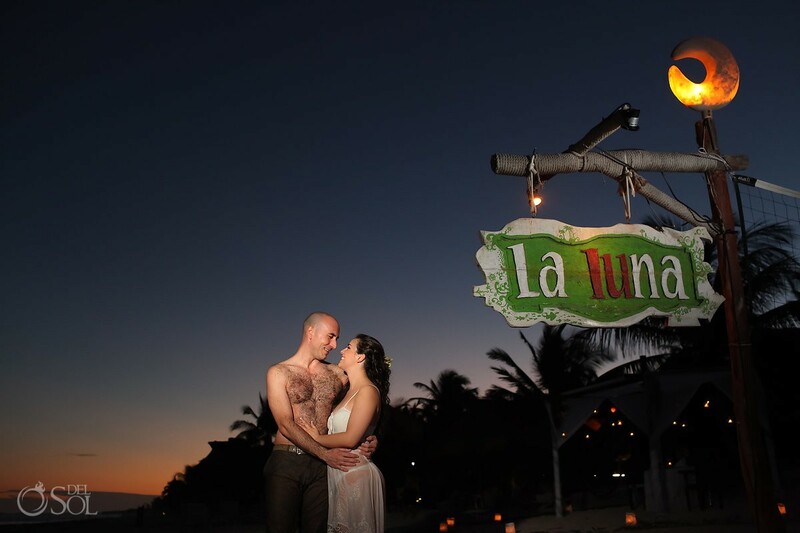 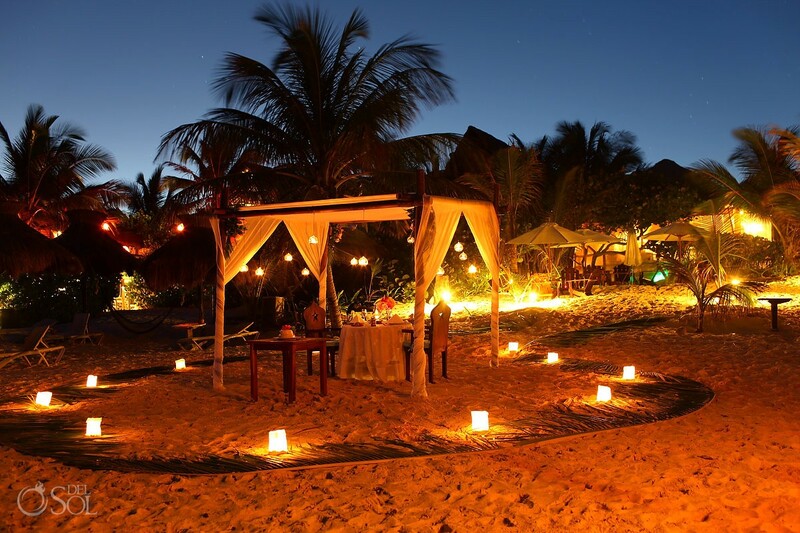 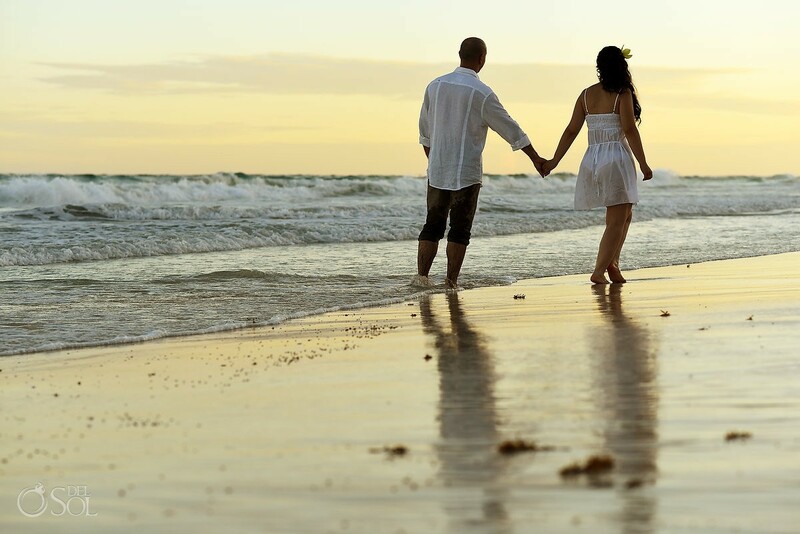 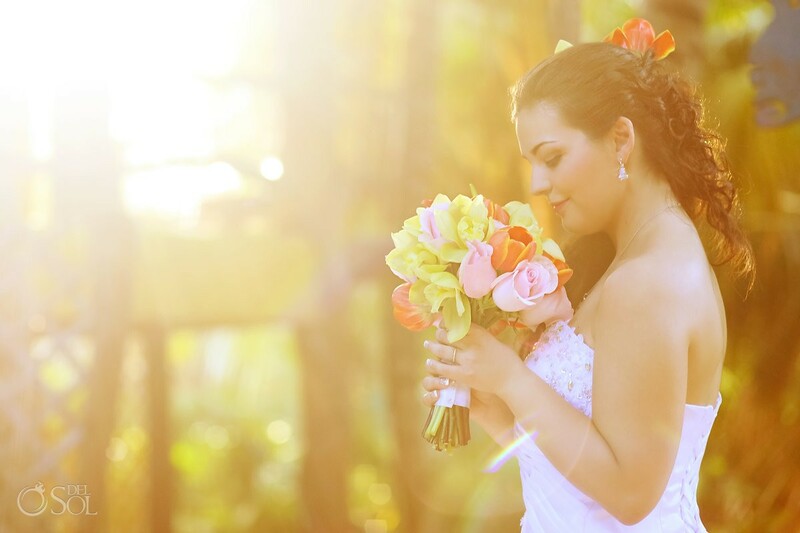 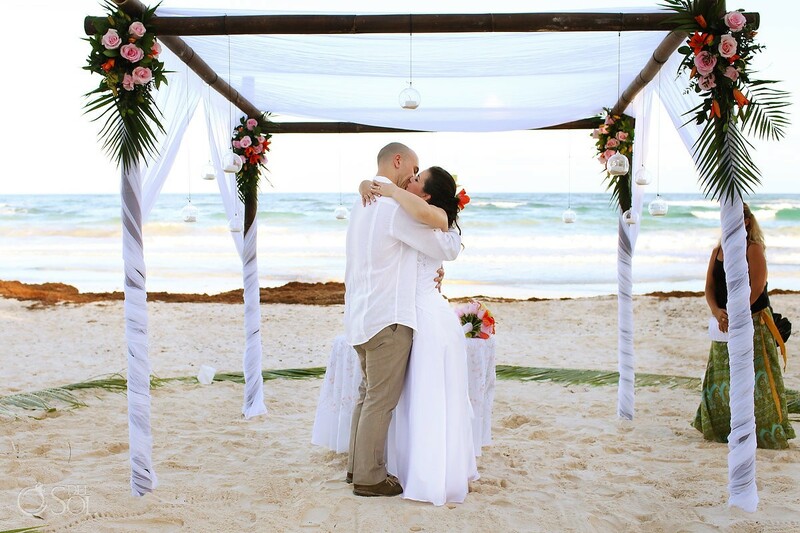 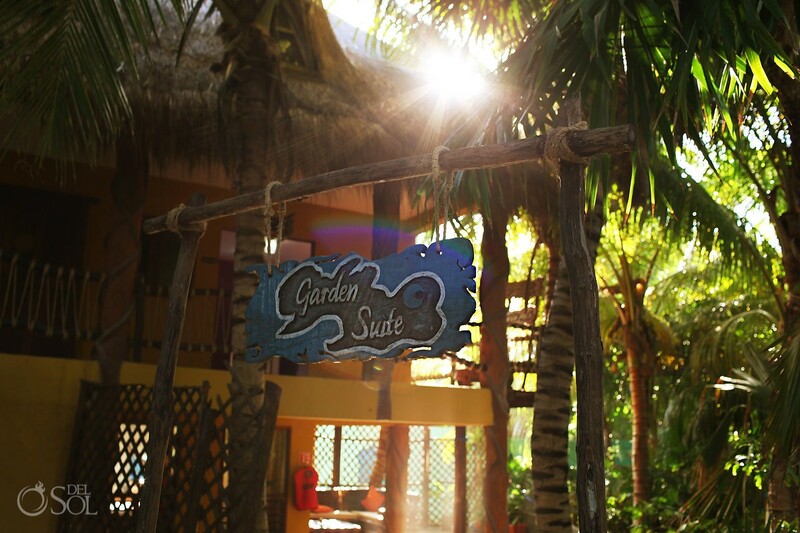 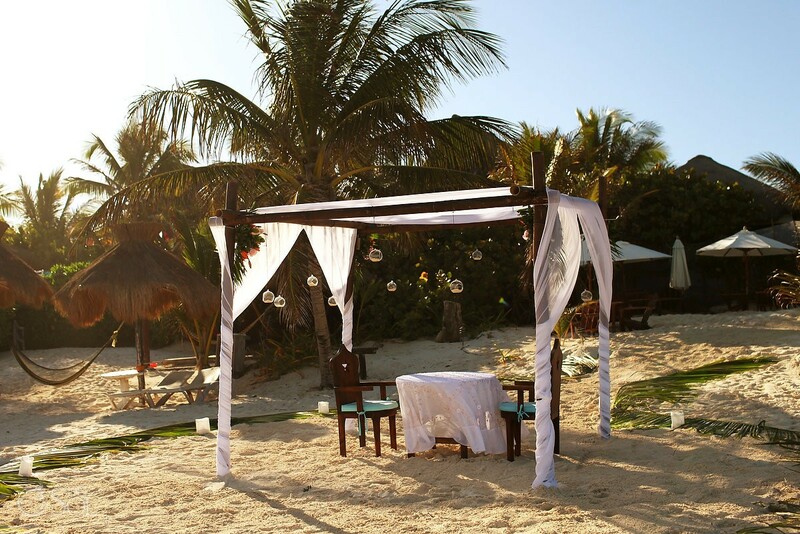 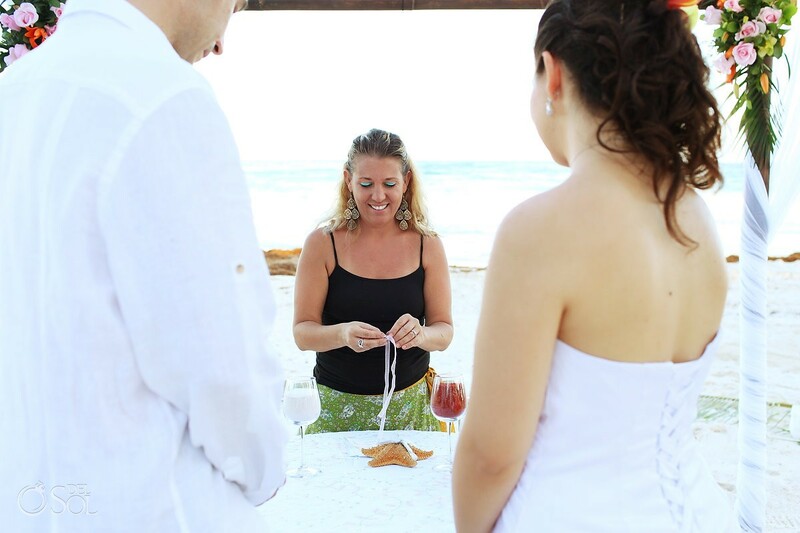 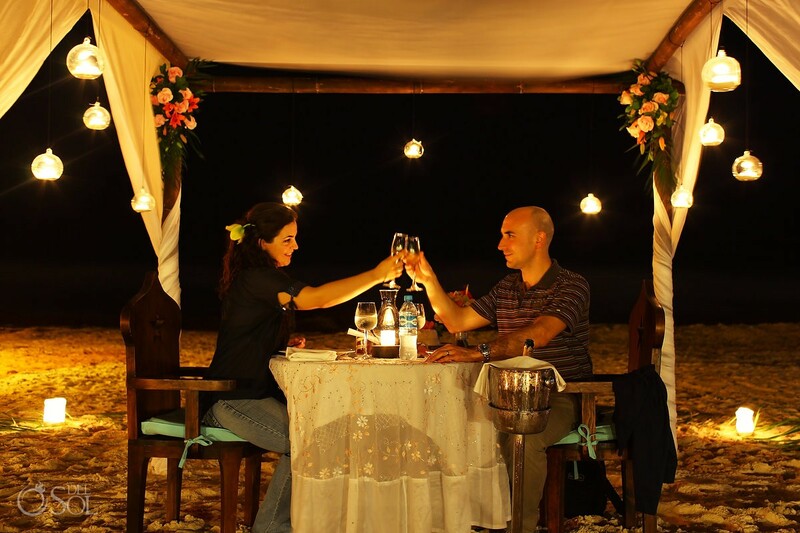 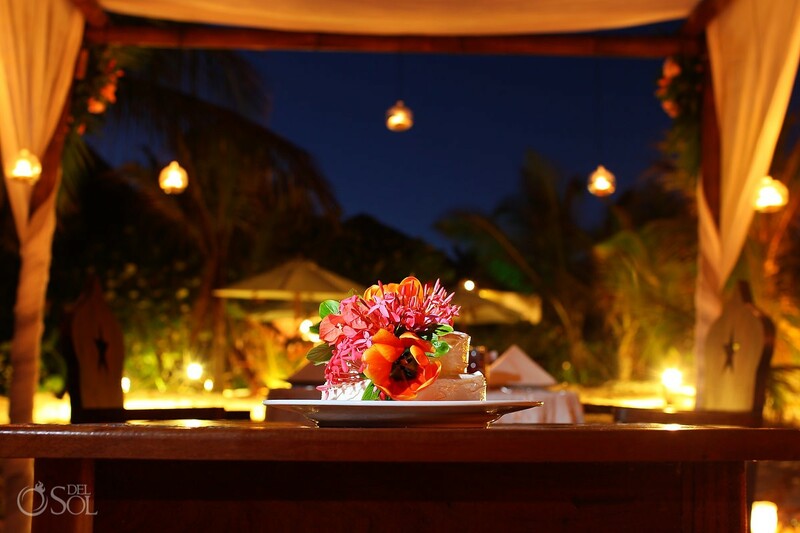 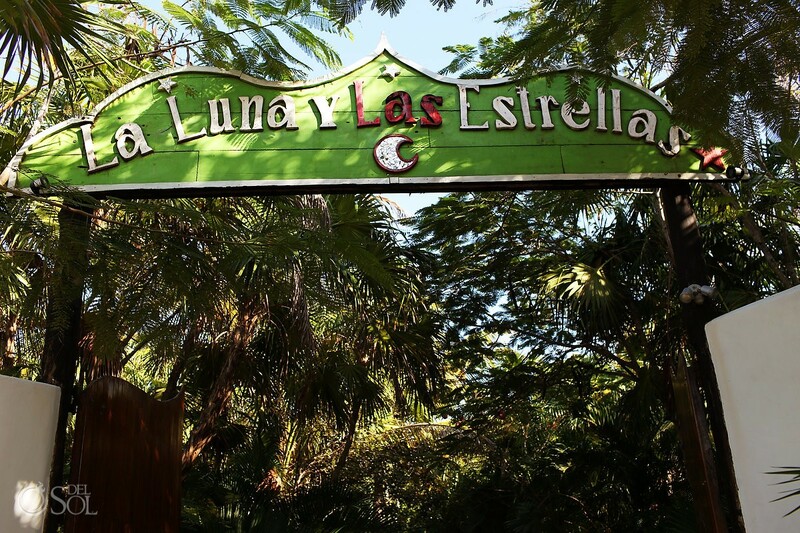 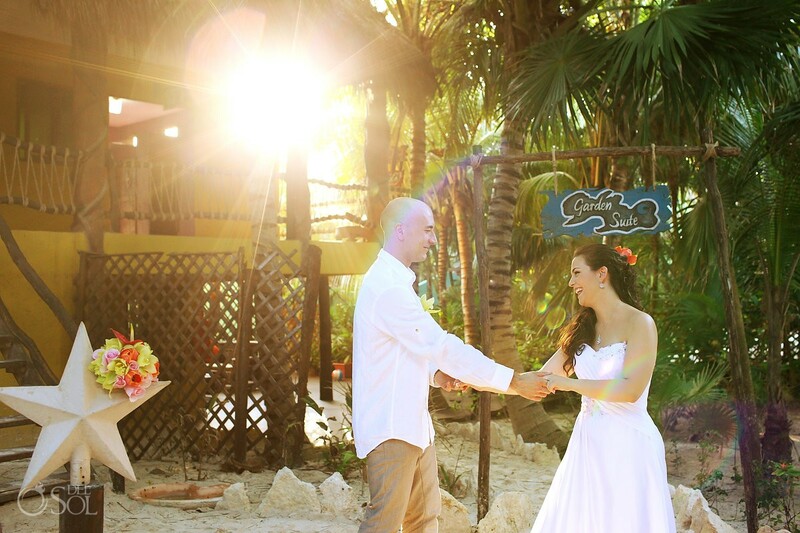 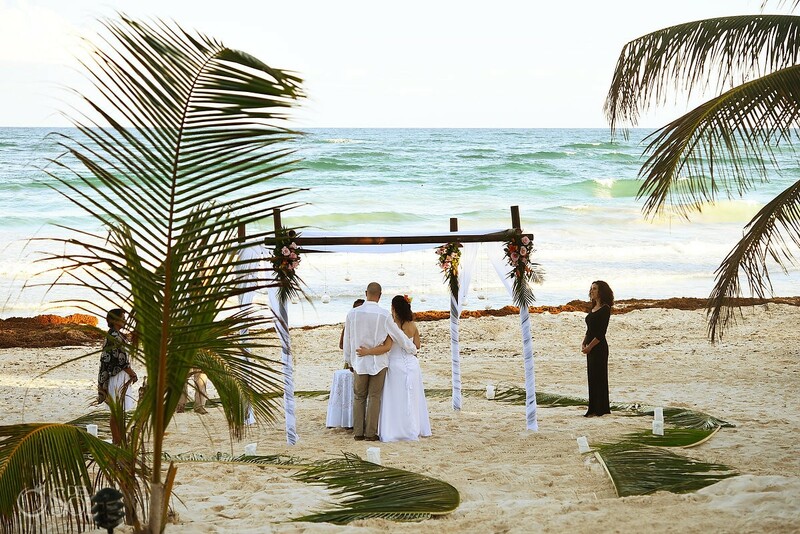 The Cabanas La Luna boutique hotel was an ideal choice, set on one of the best beaches in the world, with rustic palapas amongst the palm trees and a charming and professional wedding coordinator Mindy Rosas who takes care of all the details. 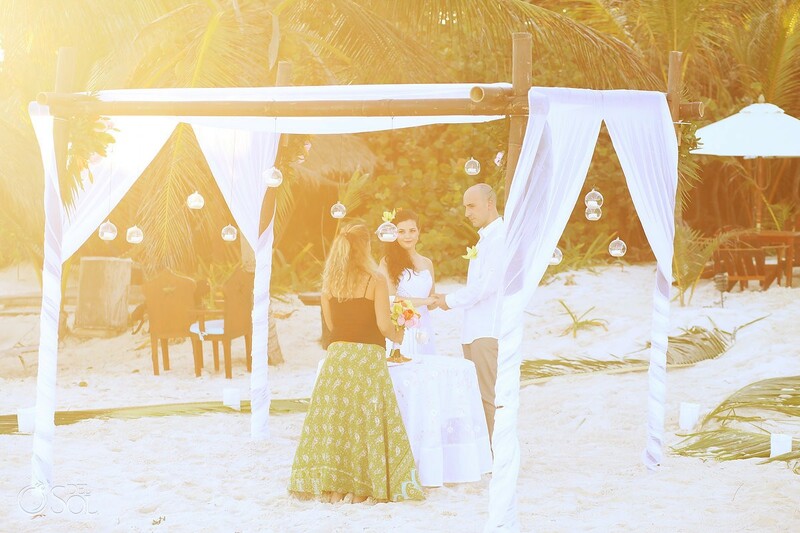 The chupah for two was decorated in flowing white fabric with hanging candles and pink roses, inside a circle of palm fronds and paper bag lanterns, a simple and pretty ceremony set-up. 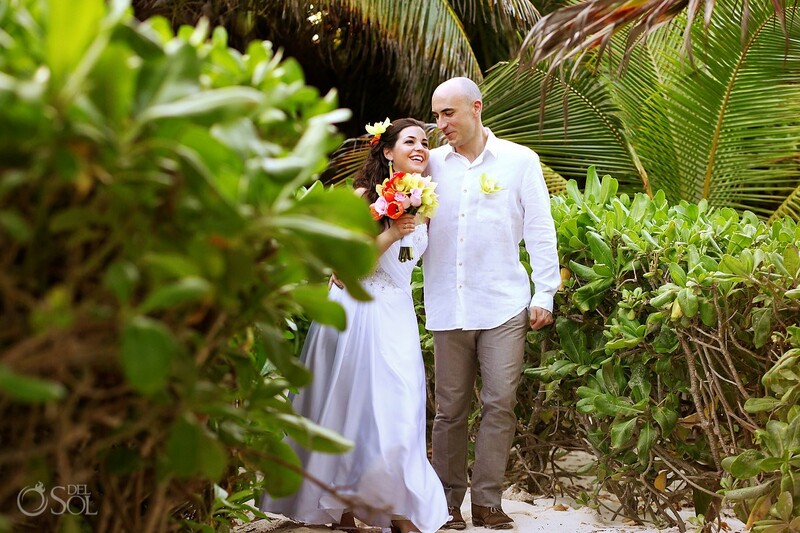 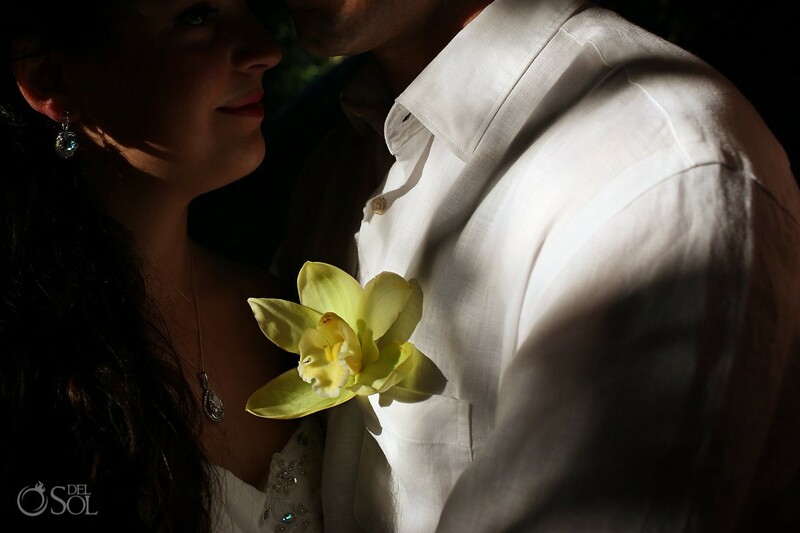 Lidia wore a white strapless gown with jeweled details, with exotic flowers in her hair and her big brown eyes and warm smile, she was a truly beautiful bride. 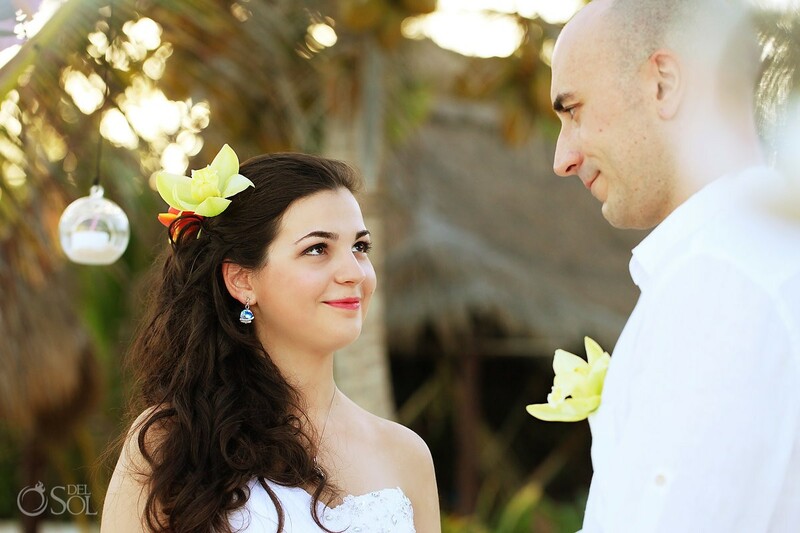 The couple exchanged vows (in Italian of course!) 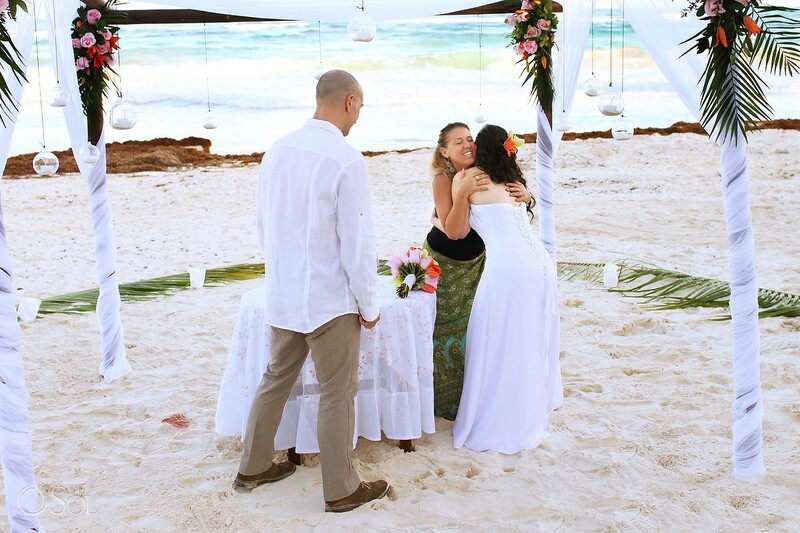 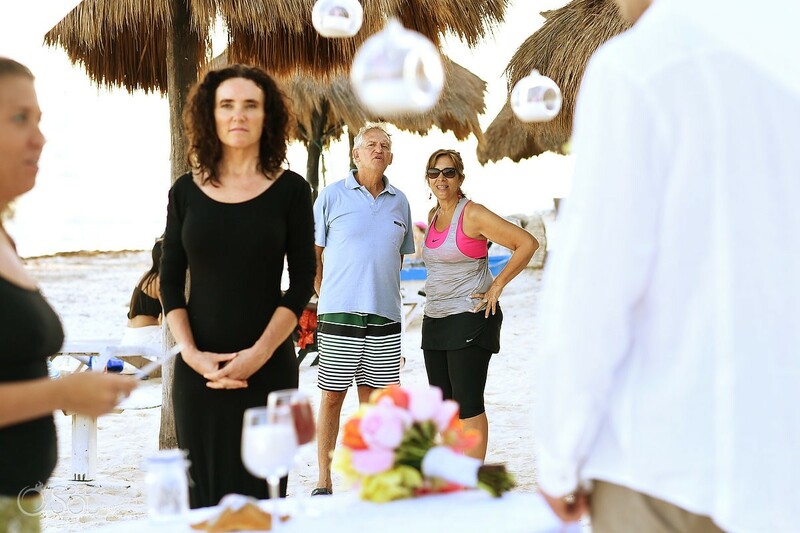 and shared in a unity sand ceremony. 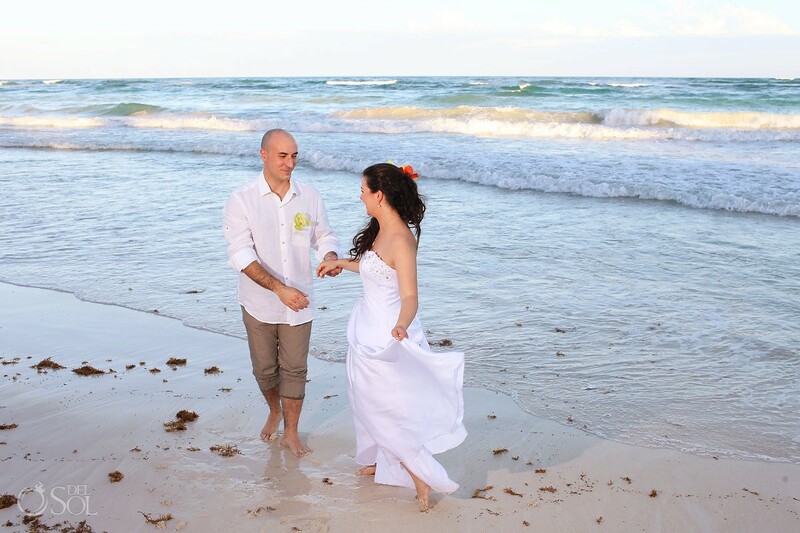 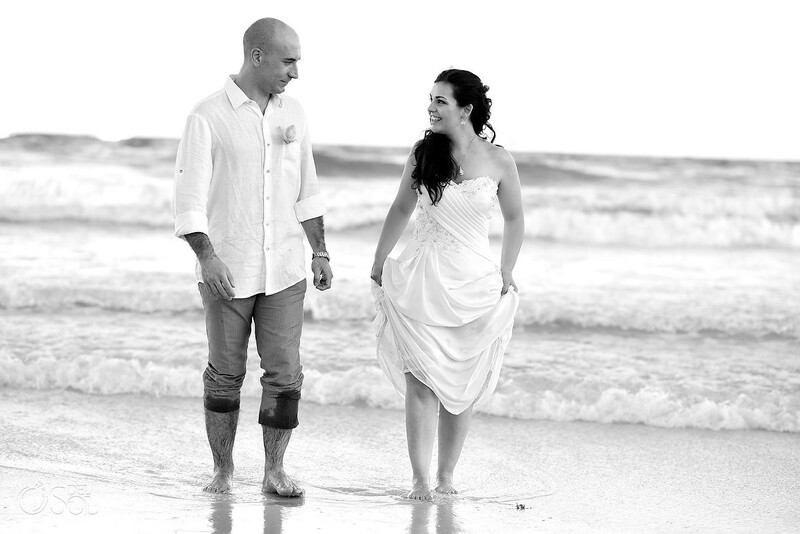 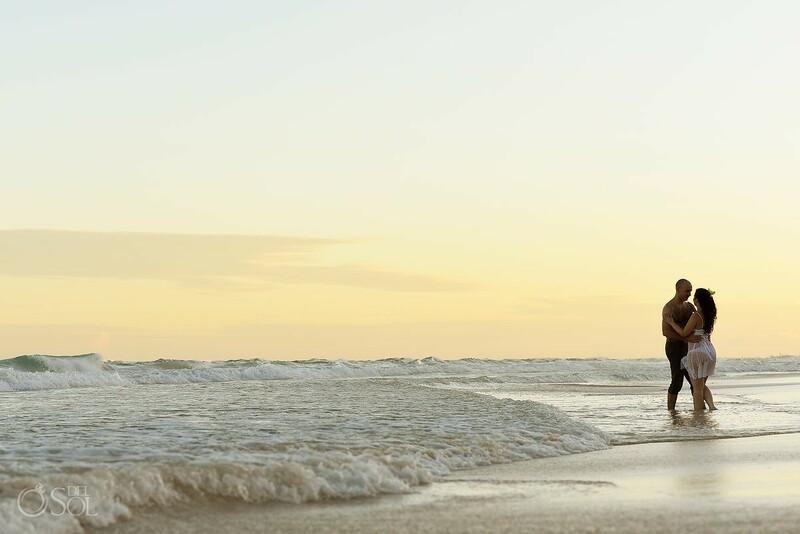 After the ceremony, bride Lidia changed into a short white dress and the couple joined the photographer on the beach for some newlywed portraits in the waves of the Mexican Caribbean Sea. 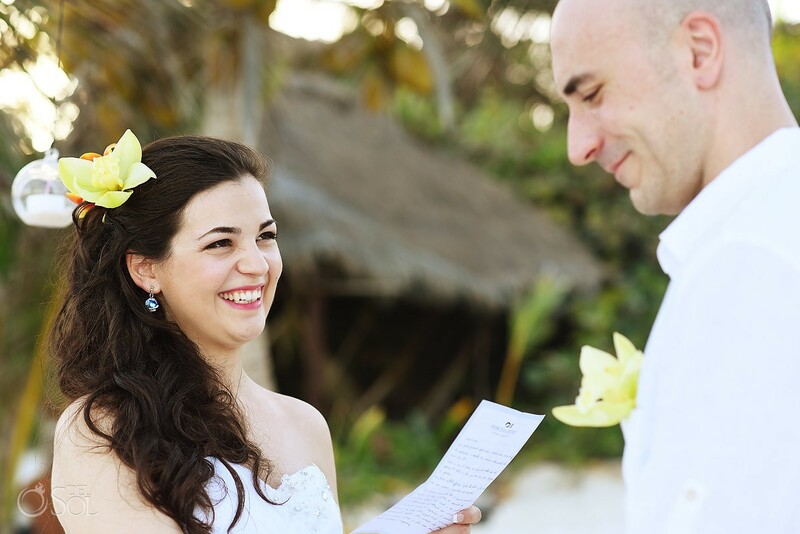 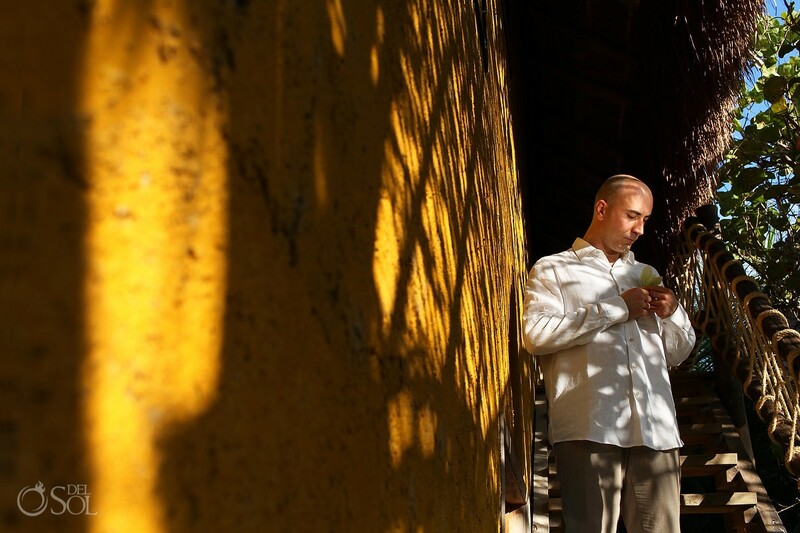 Lidia’s infectious smile and the warmth and tenderness of Roberto needed no translation, though multilingual photographer Martina was present to facilitate communications with her Italian countrymen. 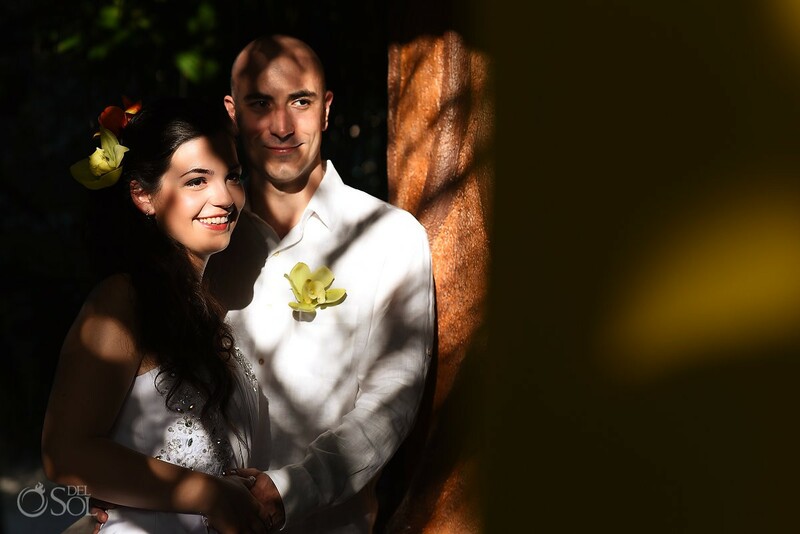 It turns out that our photographer and the Lidia and Roberto are from the same place in Italy too, small world! 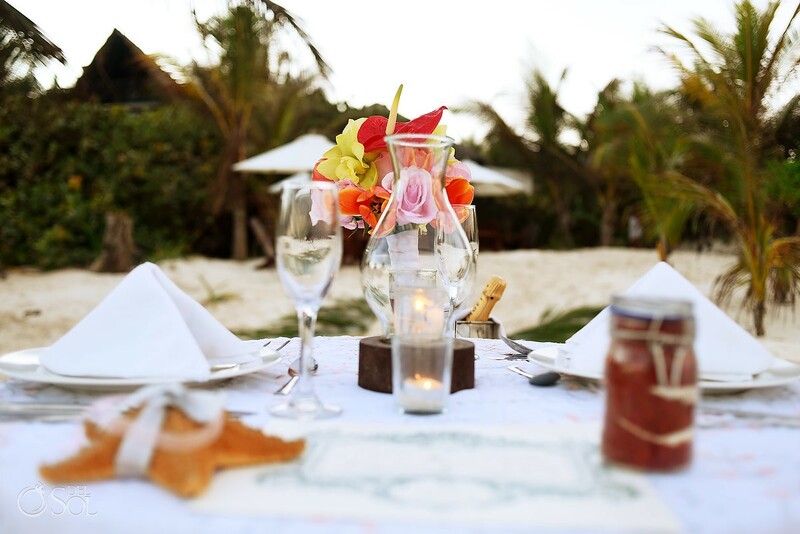 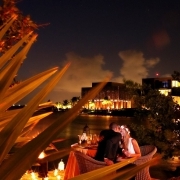 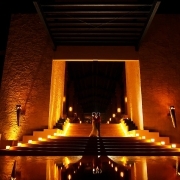 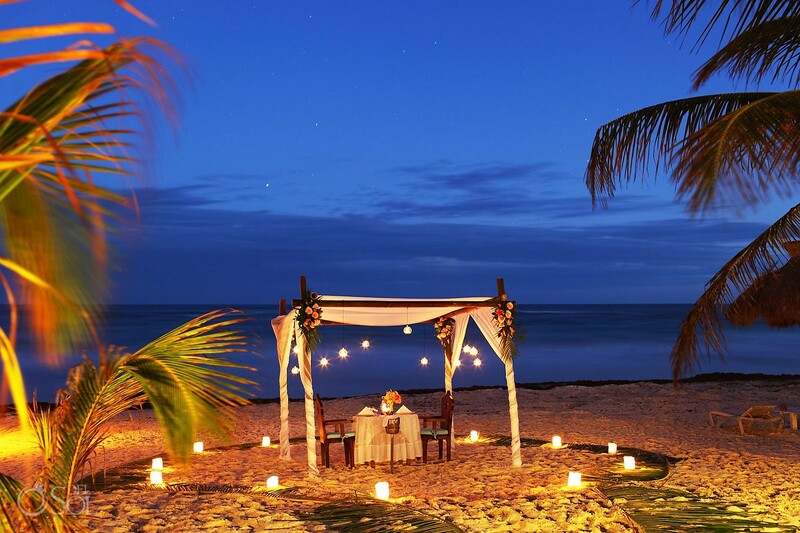 The couple enjoyed a candlelit dinner on the beach to complete the day, toasting each other with champagne beneath the stars.